Are you ready for Making Tax Digital in April? All businesses compulsorily registered for VAT will have to comply with Making Tax Digital from April 201 9. But what are the key things to have in place to get your record keeping right? Kenny Logan advises. The first thing to confirm is that there will be no delay to Making Tax Digital for VAT and you will need to be compliant by April 2019. Whilst the MTD deadline of April 2020 for income tax and corporation tax has been “paused” by HMRC and a new date is yet to be confirmed, there will be no delay to the introduction of MTD for VAT. We have already had queries from clients about particular record keeping requirements, here are answers to the key issues. You will need software that is digitally compliant and if you are unsure or need assistance we are here to help and HMRC has also published a list of compliant software on their website. If you intend to use spreadsheets, you will need to use compatible bridging software to link your data and internet connectivity is vital. Naturally, it is our recommendation that you seek assistance from a Chartered Accountant and you can send the information digitally or give them your invoices and receipts to allow them to record it in a digital form. Specifically, we have expertise in variety of cloud accounting packages such as Xero and Sage to name a couple and are here to advise and assist accordingly, just get in touch with our team. JRW ADVICE. All information must only be manually input once. All other communication between software must be digital. If you don’t understand what this means, don’t wait until April. If one of your suppliers sends you a large number of invoices in batches you may receive a supplier statement. Many businesses simply post the totals from this statement to save on administration time. Unfortunately, the regulations for purchase invoices mean that this won’t be possible; you will need to enter each invoice. JRW ADVICE. If your business uses the cash accounting scheme, HMRC has confirmed that the time of supply is the payment date. Entering a batch summary will no longer be possible, you will need to enter invoices line by line. Also, you must ensure that you have compliant software or know how you will need to provide information to your accountant in good time. 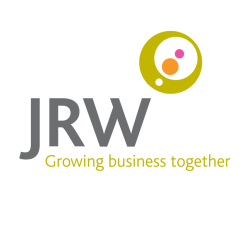 As ever please don’t hesitate to get in touch with one of the team at JRW for advice on how to prepare for the introduction of Making Tax Digital. 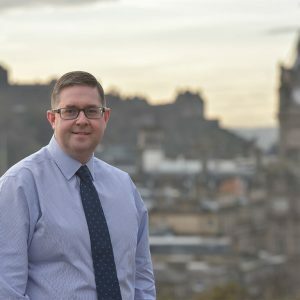 Whether its personal or business financial advice that you need, we would be delighted to have the opportunity to meet with you to find out more and to explain the considerable benefits that the JRW team can bring to you and your business. We are happy to meet with you in one of our offices or we can come to you. Simply contact us at any of our 5 office locations and we will make sure that you speak to the relevant specialist in our team.